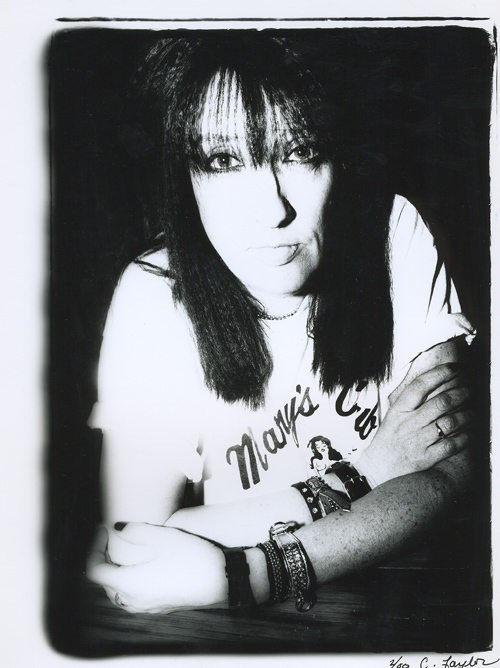 Kim Warnick was co-founder, bassist, and lead vocalist of the Seattle band Fastbacks between 1979 and 2002, and bassist with Visqueen from 2001 until her retirement from performing in 2004. In March 2010 Kim returned from her retirement when Evan Dando (The Lemonheads) suggested they start a new band with Mikey Davis (Alien Crime Syndicate, Tommy Stinson) and call it Cali Giraffes. Evan, Kim and Mikey recorded one song, with Kim on bass, Evan on drums and Mikey on guitar, before Evan returned to NYC. Producer/engineer/multi-instrumentalist Bubba Jones took on working with Kim and Mikey to get the project going. For anyone who saw Warnick as the voice and face of the Fastbacks, it might take a moment to wrap your head around this factoid – this is the first time she’s written songs and lyrics. Cali Giraffes has been performing locally and have a full-length album is in the works which includes Josh Freese (perfect Circle, Weezer, Devo) behind the kit. Full discography including 7″ releases and Various Artist contributions can be found on Wikipedia.